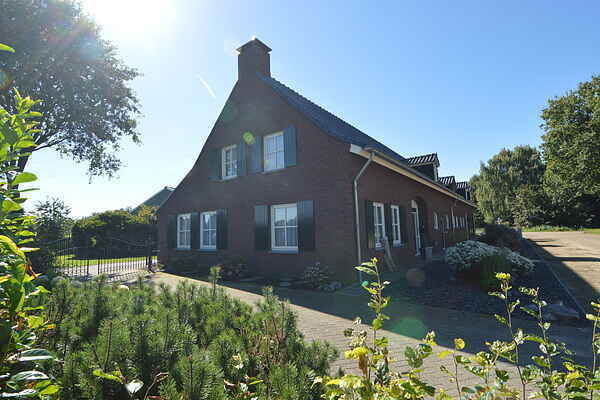 This delightful farmhouse is located in the beautiful, rural area just outside Veghel. The area is dominated by tranquillity, space and freedom. When you stay here you have a spacious, enclosed garden with a garden house at your disposal. In the holiday home you'll find a recreation room with table football, a shuffleboard and a dartboard. In the living room, the wood-burning stove offers plenty of warmth and cosiness, and the kitchen has plenty of space to have breakfast or dinner together. Upstairs you'll find the nicely decorated bedrooms. In short, a lovely place for a stay with family or friends. You will be pleasantly surprised with the many things to discover in the rural surroundings. The municipality has set up several projects to get people acquainted with the rural area. Just around the corner from the farmhouse, for example, you'll find a remarkable work of art in the middle of the corn fields: "ontmoeting in het groen" (meeting in green), a theatre with a stage of flora and fauna. There are various hiking and cycling routes between the meadows and woods. Or explore the landscape from the canoe on the river Aa. There are plenty of shops and restaurants and terraces in Veghel.